My name is Atawhai I am from Pt England School. 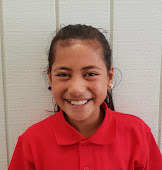 I am writing a letter to you so I can tell you know all about me.So my teachers name Is Miss Davis, I am 8 years old and I like to play with my friends. I am in the second highest group in my class. Today is term 3 and I am so happy and it will be so much fun because we get to the fun stuff which I like so today is the best day. my family is so awesome and I love my Mum and Dad so much and my family they are the best and I love them all and they are the best in world.I have 2 best friends they are so amazing and smart and they are my Favorite friends in the world and they will always never give up. I have 3 cats on e cat is so fluffy his name Is em he is so cute, two of them are my favorite pets they are two little black cats one Is named star and the other cats named dem they are both cute.i am going to ask you a Question. What are you guys learning about? Do you like maths and reading? I do.